We may be on the downward slope of summer but things are just starting to heat up here on the blog. Don't miss a day of the fun August is bringing to The Romance Dish! Thursday, August 1st brings a new book reviewer to the Dish! We're delighted to welcome J. Perry Stone to our team of guest reviewers. Her first review, Any Duchess Will Do by Tessa Dare will post on August 1st. We hope you'll stop by and give her a warm welcome. You'll want to be here on Friday, August 2nd when Andrea brings us another comprehensive list of the new book releases for the coming month. There are some awesome books coming out and you won't want to miss your favorites! On Wednesday, August 7th, we'll be making our reservations for our most anticipated new books of September. Yes, that's right. September! Already! Join us Thursday, August 8th as we spotlight contemporary author, Jenny Colgan. Jenny's newest book, Meet Me at the Cupcake Cafe, was released on July 2nd. Marilyn Baron blogs with us on Friday, August 9th. 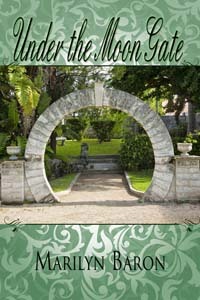 Marilyn's April release, Under the Moon Gate, has been getting rave reviews. Trish Milburn returns on Saturday, August 10th with a new column on Young Adult fiction. Don't miss what Trish has to say about this fast growing sub-genre of romance! 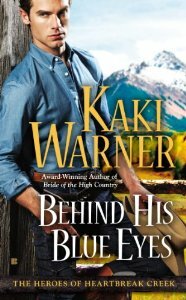 On Tuesday, August 20th, we welcome historical romance author Kieran Kramer! We'll have an interview with Kieran and share information about her upcoming book, Say Yes to the Duke. 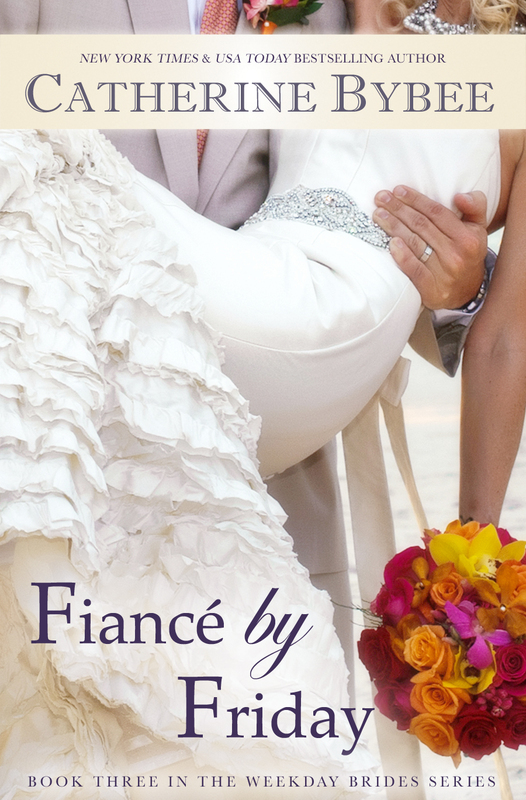 Catherine Bybee will be here Wednesday, August 21st as part of her Fiancé by Friday blog tour. We hope you'll be here too! Saturday, August 24th brings Anna Campbell back to The Romance Dish with her monthly Second Helping reviews. Can't wait to see what she's dishing about this time! Anna returns for a guest author visit on Monday, August 26th to celebrate the release of her next book, A Rake's Midnight Kiss. 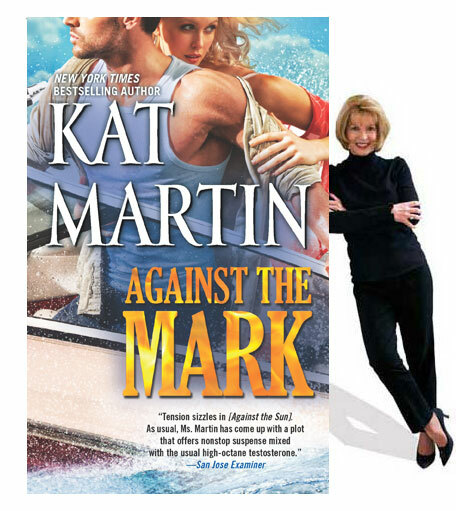 Kat Martin rounds out the month when she blogs with us on Wednesday, August 28th. Kat's next book, Against the Mark, hits the stores on August 27th. Join us for these events and more throughout the month of August! Lots of great interviews coming up for August. It’s going to be yet another “hot” month! Wow! Kick off August w/ Tessa Dare by J Perry Stone?!?! And then Kieran Kramer, Anna Campbell, and.. KAT MARTIN?!?!! I agree lots of books I want to read. Catherine Bybee is a new author for me. I do like her cover. Jennifer Colgan and Marilyn Baron are also new authors for me. August with the Dishes is going to be awesome. Hurrah! And more heartfelt cheers for the new TRD guest reviewer. Yay, J! It's the "double J" guest review crew! We're honored to have both of you as guest reviewers here at TRD! Lots to look forward to! I love this blog, and I appreciate all the time and hard work you put into it! Thank, Cheryl! Andrea and I appreciate all of you who make this a regular stop! Hi Antonia! I'm very excited for Anna's new book. Loved the first one in this new series. Tessa's book came out in late May so it's available now. Be sure to stop by tomorrow and find out what J. thinks of it! PJ and Andrea, you are doing a superb job with TRD! Looks to be another great month here. Thanks for all you do! I look forward to Anna's Second Helping and am looking forward to her new book as well as Tessa Dare's. Thanks for being a regular visitor, Deb! Good news, bad news... A lot of wonderful books coming up; I can't believe July is over today and I never seem to catch up lol. I know what you mean, catslady. I feel the same way with each new month that rolls around! Very excited about Kat's upcoming release. I love the Against books. What a fun looking August! I'm beside myself in anticipation for Kieran Kramer's visit!!! Great line-up for the month. Know I'll find more books I'll need to find time for. Terrific line-up, PJ. Will we be seeing more of Julianne, I hope!